CANY has ceased operations. Visit GreaterYaletown.org instead. The Community Association of New Yaletown (CANY) is no longer active. This site is no longer updated, and is being maintained solely as an archive. A new association, the Greater Yaletown Community Association (GYCA) now represents a larger area around Yaletown in downtown Vancouver. For more information about GYCA and for issues relating to the greater Yaletown area, please visit www.GreaterYaletown.org. As you may know, the Community Association of New Yaletown won its case against the City of Vancouver in BC Supreme Court. This ruling struck down the the bylaws and halted the developments at 508 Helmcken and 1099 Richards. Unfortunately, both the City and Brenhill Developments appealed that decision, and the original decision was struck down. Even before that ruling, the City of Vancouver moved to enact new bylaws to enable the developments to proceed. CANY responded by filing for our case to be heard by the Supreme Court of Canada. We have now learned that leave was not granted by SCC. This means that we have reached the end of the road as far as a legal challenge is concerned. Thank you all for your time, energy, ideas, and financial contributions in support of CANY’s efforts to require a fair process including community input into the City’s decision-making process. While we lost the legal battle, we can claim some measure of success. Both City Manager Penny Ballem and General Manager of Planning Brian Jackson are no longer employed by the City of Vancouver. We can hope that the City has learned that a confrontational, non-collaborative approach to land use planning is not productive, and that more open-minded leaders will take their place. A proposed downtown tower on the east side of Emery Barnes park was the final straw for a group of planners and academics who wrote an open letter expressing concern about the future planning direction in the city (GBL Architects); the former top city planner, Brian Jackson. Someone should bottle a new barbecue sauce to accompany the burnt offerings of Brian Jackson’s flame-broiled reputation, which is about all that’s left after the City of Vancouver served up the juicy announcement of his retirement on a tranquil summer Sunday last week. They could call it Vancouverism, best served with sacrificial lamb. Jackson was trapped in an impossible position, from which every apparent exit was an illusion. Except the one he finally took. Read the rest at http://www.vancouverobserver.com/opinion/resignation-bombshell-ballad-brian-jackson. Please sign the petition now. Vote NO to the 1099 Richards development permit and the 508 Helmcken rezoning as proposed, and ask the City to set a meeting with the neighbourhood to start looking for real solutions. It’s shameful and downright arrogant that on the same day that Mayor Robertson admitted he had failed on his promise to end homelessness, the City of Vancouver was hosting a Public Hearing on proposed changes to the Downtown Official Development Plan (DODP) that dismantled the very concept of social housing, a change that risks increasing homelessness in Vancouver and reducing affordability in Vancouver. On March 26, 2015, Vision Vancouver Councillors all voted in favour of changing the definition of social housing to be rental housing “in which at least 30% of the dwelling units are occupied by households with incomes below housing income limits”, increasing the lowest category of rent to $912 a month as set out by BC Housing. This change hinders social housing development and allows for abuse of this broad definition. More concerning is that regardless of the remaining rents of 70% of all other units, all units will count as social housing. To break that down, if we have 100 units in which 30 is social housing and 70 is market rate, then the building is said to contain 100 social housing units. In the now infamous case of Jubilee House at 508 Helmcken, the neighbourhood was told the density was to allow for more social housing to be built at 1099 Richards, when in fact, it was only replacing the existing 87 units. The other 75 units are low end of market rate. Meanwhile, the developer was granted a bonus density for an additional 488 market units. Of the 650 units in this land-swap project, only 87 will be social housing. This is a clear example of how these changes fail social housing and allows for abuse. The City argues that the 30% in the definition is an incentive to build social housing. Section 3.1 already allowed the Development Permit Board (DPB) to permit an increase in floor space ratio (FSR) up to the allowable maximum if the building has 30% social housing. There is no need to have it in the actual definition of social housing, as it serves only to falsely count market rental units as social housing. More concerning, Section 3.13 goes on to allow the DPB to permit an unlimited increase in density beyond allowable maximum FSR, thus bypassing the rezoning process and eliminating the requirement for an Open House, a Public Hearing and any other opportunity for public input. It places sole discretion for the allowable density in the hands of unelected officials. Caught breaking the law, the City’s response is to change the law and remove the need for public input. 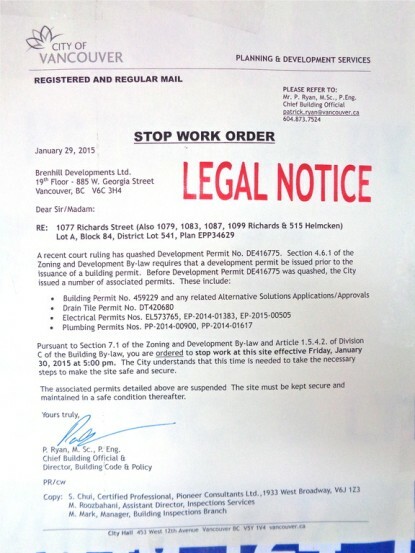 Residents have received their notices regarding the separate 1099 Richards DPB meeting on April 7, 2015 and the 508 Helmcken rezoning Public Hearing on April 14, 2015. The City is rushing to push these through before the appeal court dates. Please email the Mayor and City Council and demand that they respect citizens’ rights to be heard and considered. Please sign opposing the 1099 Rirchards development permit and 508 Helmcken rezoning as proposed. The proposed building is also too big and too dense for the site, and would be a non-conforming third tower on the block. It exceeds the FSR 5.0 limit set out by the Downtown Official Development Plan (DODP) for social housing in our neighbourhood. The combined impact of these two buildings is a way too large for the neighbourhood and must be considered together as per the court ruling. Any leniency granted because they are “social housing” should be the absolute minimum as they don’t add true social housing as defined by CMHC and accepted Canada-wide. We ask that the City keep its promise and duty to fair public consultation and work the community to find a solution that works for neighbours and keeps the Jubilee House residents in their neighbourhood. Vote NO to the 1099 Richards development permit and the 508 Helmcken rezoning, and set a meeting with the neighbourhood to start looking for real solutions. Now is the time to tell the Mayor and City Council to vote NO to the proposed amendments to the Downtown Official Development Plan (DODP). The amended development plan would set a bad precedent for all of Vancouver. If this amendment passes downtown, your neighbourhood may be next. Please sign the petition now. Your signature is needed by 5pm on March 26, 2015. The new definition of “social housing” removes support for those most in need. Under the proposed changes, the new lowest category of rent will require an annual income of up to $36,500 for a studio apartment and $40,000 for a one-bedroom outside the DTES (Source: BC Housing 2015 Housing Income Limits). This moves “social housing” out of reach for anyone working full-time at minimum wage ($22,000 per year). The proposed new Jubilee House demonstrates the City’s vision: the “low cost housing” units transferred from the old Jubilee House rent for an average of $436/month while the new “social housing” units rent for $1,142/month (source: City of Vancouver Administrative Report, February 6, 2014). These changes risk increasing homelessness and reducing affordability in Vancouver. The changes benefit developers, not people in need of affordable housing. The threshold for a building to gain huge density bonuses for “social housing” is unreasonably low. Only 30% of residential units are required to meet the too-expensive levels described above. The remaining units are not required to be affordable at all. The DODP and its proposed amendments are not “intelligible” or “simple and direct” as required by law. Instead, the documents use technical jargon, confusing wording and contain inconsistent and conflicting statements. The recent Supreme Court ruling requires the City to provide information in “a form that is understandable.” You can read the Downtown Official Development Plan and judge for yourself. The City provides insufficient detail for the public to understand the pros and cons of the proposed amendments. The City provided no models or drawings showing the potential impact of the proposed changes. The recent Supreme Court ruling requires the City to provide sufficient information to enable the public to “fairly evaluate the pros and cons” and to “scrupulously consider” public input. The proposed DODP increases the power of the (unelected) Development Permit Board, reduces City Council oversight, and reduces the public’s ability to provide input regarding their own neighbourhood. It allows the DPB to grant unlimited density without requiring rezoning. The proposed amendments to the DODP were drafted without any public input. Neighbourhoods and social housing residents were not consulted as part of the drafting process. The public deserves a voice in our own communities. The Community Association of New Yaletown fully supports increased social housing that truly benefits the needy. However, the proposed amendments fail to achieve this objective, and bypass public input while allowing unrestricted developments. Downtown Vancouver deserves a better, fairer, clearer Downtown Official Development Plan. We have received notice that the City of Vancouver and the developer will appeal the landmark CANY ruling (Community Association of New Yaletown v. Vancouver (City), 2015 BCSC 117). The honourable Judge Mark McEwan forcefully ruled that the public hearing and the development permit processes were flawed in the rezoning and land exchange of 508 Helmcken and 1099 Richards in the downtown mixed-income neighbourhood of New Yaletown. The ruling is a crucial turning point in public consultation and applies to the interpretation of the law citywide. The ruling fundamentally impacts the way City Hall operates, now and in the future. If the ruling against the City were overturned, it would have severe and negative consequences on public participation across the entire city. “In appealing, the City is essentially rejecting Justice Mark McEwan’s ruling that City Hall must include the public in a fair and open process,” said Jon Green, President of CANY. “It is shocking to hear that our elected officials would try to reject the legal requirement that they properly inform the public and actually consider public input.” CANY is fighting for a more open and transparent city government to ensure our elected representatives listen to the concerns of residents. CANY is a grassroots and non-partisan group of volunteers. This appeal is expected to be rushed through by the City and Brenhill so CANY is URGENTLY seeking donations to help fund legal costs. A loss will have significant implications in all Vancouver neighbourhoods. Concerned citizens who wish to donate are asked to visit the CANY website for more information (www.newyaletown.ca) or speak to a CANY member directly (info@newyaletown.ca). CANY is seeking donations of any size and has pledged to donate to social housing initiatives in the New Yaletown neighbourhood in the event funds raised exceed legal costs. The Community Association of New Yaletown sent the following letter to Vancouver Mayor Gregor Robertson and all City Councillors, urging that the proposed amendments to the Official Development Plan (ODP) for the Downtown District be sent back for public input. The proposed amendments will be considered by Council on Feb 4, 2015. We are writing on behalf of the Community Association of New Yaletown. We are united in voicing strong opposition to the proposed amendments to the Downtown Official Development Plan. Over 600 people signed the CANY petition calling for more public involvement in land use decisions in New Yaletown. We now wonder if these proposed ODP amendments are an end-run to again avoid public input. We urge you to send the proposed amendments back for public input and consultation. The proposed magnitude of the new density bonuses is major; density increases of such magnitude deserve individual review by Council and the public. City Hall is proposing major changes to the Official Development Plan of the Downtown District. These changes, if approved, would result in significant changes to the character, density, height, and allowable uses in the downtown area. The changes also would implement significantly new definitions of types of housing and eliminate others. No public consultation process in preparing the proposed amendments has been conducted whatsoever. Changes to the development plans for other parts of town, such as the Commercial Drive area or Marpole, have been conducted with extensive public input lasting months and even years. The Downtown District, at the heart of the city, deserves more than a few weeks. Is this proposal an attempt by City staff to avoid public consultation on our district’s Official Development Plan? The public should have input on the proposed amendments before we even get to a Public Hearing, to help ensure public support. Doesn’t the Downtown District deserve public engagement? There has been insufficient notice to the public. The agenda and proposal was posted Jan 29, just two days after the Court’s decision in Community Association of New Yaletown v. Vancouver (City), and less than a week before the meeting. That is not enough notice to allow for informed public input into the matter, and appears to be a rushed end-run around the recent Supreme Court ruling. Why can’t the public be given sufficient time to consider the proposed amendments? Removal of Oversight; Charter Violation? The proposed changes are intended to bypass Council’s and the public’s approval of future changes in allowable density on a property — an abdication of Council’s responsibility and an obstruction of the public’s right to comment on individual changes in their neighbourhood. The relaxation of the requirements for Council approval for changes in density for public housing, and the increase in the amount of density that could be automatically granted under the proposed amended DODP, also appear to be in violation of s. 565.1 of the Vancouver Charter. See http://www.bclaws.ca/civix/document/LOC/complete/statreg/–%20V%20–/Vancouver%20Charter%20%5BSBC%201953%5D%20c.%2055/00_Act/vanch_28.xml#section565.1. 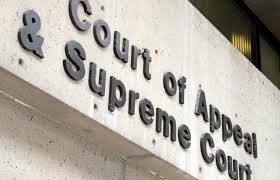 Full legal review of the implications of the proposed amendments in regard to the Vancouver Charter and in regard to Justice McEwan’s recent ruling would be prudent before any such amendments are considered by Council. City Hall is proposing to create different definitions of social housing for the downtown area than apply for the rest of the city. To do this would make social housing planning and measurement more difficult and confusing, citywide. Given the magnitude and complexity of the need for social housing, taking a piecemeal, area-specific approach to even defining social housing seems inappropriate. The city deserves definitions of social housing terminology that apply citywide. The proposed changes apply different definitions of social housing for different neighbourhoods even within the downtown area. In addition to the reasons given above, this type of change would make it even harder for the public to understand what is and is not social housing. Further, these changes appear to be designed to further avoid public input on specific developments that may directly impacting their neighbourhoods. How can the City even measure progress of social housing, when different areas of the city, and even different neighbourhoods within those areas, have different definitions? Again, Vancouver deserves definitions of social housing terminology that apply citywide. The wording of the proposed definition of public housing eliminates some useful distinctions between the different types of housing that currently exist across the City, and counter-productively blurs all existing definitions under one, far less meaningful term (which as noted below, lacks a inconsistent definition even within the Downtown area). The terms social housing, low-cost housing, low-end of market housing, secured market rental, affordable housing, etc. all deserve to have official definitions that are consistently applied across the city. Is eliminating the meaningful distinction of different types of housing in the public interest? Does it deprive the City of the ability to adjust incentives for different types of housing? Even though these amendments are specifically for the downtown area, the Vancouver public citywide has an interest in the impact of this new bonusing strategy as this appears to be the first step in a planned area-by-area reduction in Council’s and the public’s ability to provide oversight of rezoning. Neighbourhoods across the city deserve notice about this issue, as evidenced by the fact that neighbourhoods other than the downtown district who have learned of this proposed amendment are now scrambling to offer their own input. Shouldn’t these amendments receive full consideration and discussion citywide? The proposed amendments are worded so as to be hard to understand by the lay public. Understanding the impact of the changes is even more difficult. The sections describing the amendments, in particular, are neither intelligible or understandable. Can the City do better in helping the public to understand the changes and their potential impact on the downtown area? Can the City provide physical models of the difference in allowable density, both with and without the proposed amendments? Section 3-4 of the amendment grants the DPB the ability to increase maximum FSR (for developments with 2/3 “social housing” or secured market rental housing) from 5.00 (previous) to 6.00 (proposed), an increase in FSR of 20%. For L1 (New Yaletown), the nominal FSR is 3.00. The previous bonus of an additional 2.00 for social housing is proposed to increase to 3.00 — an increase by 50% of the previous density bonus). Looking at “secured market rental housing” specifically, the maximum FSR for a building that is 100% in this category is increasing from 3.00 to 6.00, in L1 at least. That’s a 100% increase—a doubling—in FSR. Taken together, the magnitude of these increases appear to be labeling as “density bonuses” what are more rightly considered as actual rezonings, dramatically changing the nature of the allowable architecture in a neighbourhood. The magnitude of the allowable bonuses appear to be an end-run around the purpose of requiring a public hearing for a rezoning. Is it appropriate for the Development Permit Board to have such a large, automatic impact on a development and on a neighbourhood without explicit Council approval and public consultation? Sneaking in Automatic New Yaletown Approval? The changes to Appendix B, p.19 appear to apply in particular to the height constraints for the small-sized properties where density limits are not the primary constraint, such as 1077/1099 Richards in New Yaletown, which was the focus of the recent Supreme Court ruling. As such, is a primary motivation for this amendment is to achieve, by changing the DODP, the type of upzoning that was stricken down in the court ruling. Is this the case? In the previous version of the DODP, the language was similar but both values were 5.00. Is this an error? The Community Association of New Yaletown strongly urges you to vote “no” and send the proposed amendments back for public input and consultation. The Downtown District deserves better. CANY urges you to send an email to the Mayor and Council. Tell them to seek public input before advancing the Official Development Plan amendments to public hearing. What does the judgment mean for Vancouver? As we read it, the main impact of the judge’s ruling falls into two main categories: functional and procedural. The functional impact of the ruling is directed solely at the two properties that were the subject of the land swap in New Yaletown. The judge’s procedural statements apply to the interpretation of law citywide, and are intended to fundamentally impact the way city hall operates, now and in the future. What happens to the New Yaletown Developments now? Functionally, in ruling that the approval process was unfair, the court’s remedy quashed the bylaws and development permits associated with the development of the two New Yaletown buildings. The judgment essentially re-sets everything back to the way things were when the development was first proposed. To proceed with the planned developments, the City must now start from the beginning, including the public in a fair and legal procedure. What impact will the ruling have Citywide? The City must provide “intelligible” and “understandable” information to the public for scrutiny and consideration. The information must be “simple and direct” and not be buried in peripheral, technical jargon, as it was in New Yaletown reports. The City must include justification for “values and estimates of value,” if such justification exists, and not hide this information from the public as it did with the New Yaletown developments. The City must provide proper notice to the public, so that residents are aware of proposed changes that affect their neighbourhood. It can no longer avoid public scrutiny by hiding a bylaw change that affects one neighbourhood in a decision presented as relating to a different neighbourhood, as the City did in the New Yaletown land swap. The City must provide the public a “fair opportunity” to communicate with Council about the costs, benefits and full advantages and disadvantages of a proposal’s impact citywide. “Residents of the City have a right to a voice,” the judge ruled. City Hall can no longer unduly restrict the comments of the public to a limited technical range, as it did in the public hearings related to the New Yaletown land swap. Council must listen to and “scrupulously” consider the input from the public, and cannot arrive at a pre-ordained conclusion. The judge ruled that “a public hearing is not just an occasion for the public to blow off steam,” as had been the case in the New Yaletown public hearings and has been common City practice prior to the ruling. Council can not rezone property to be in conflict with the Official Development Plan (ODP) for the area. In other words, Council can no longer approve “spot re-zoning” that is contrary to the ODP, as had been the case with the New Yaletown land swap and has been common practice throughout the City. The ODP legally defines the character and density of an area of the city and the neighbourhoods within it. If Council votes to change zoning to conflict with the ODP, then a change to the area’s ODP must also be separately approved by Council in order to keep the zoning and ODP in alignment. Each of these changes are highly beneficial to Vancouver — they enable the public to become part of an “engaged city” and more fully participate in the creation of our future. The changes will have a positive impact on the way City Hall interacts with residents of the city. Should the City appeal the decision? Brian Jackson, General Manager for Planning and Development Services has stated that the City is considering an appeal of the judge’s decision. As we see it, any appeal of the judge’s decision would, in effect, oppose one or more of the above bullet points. The City does not believe it should provide the public with intelligible information, and should be allowed to hide whether the City is receiving good value for its property? The City does not believe it should provide proper notice to the public of proposed changes? The City does not believe that the public has a right to a fair opportunity to communicate with Council? The City does not believe that it must consider public input, and should be allowed to make predetermined decisions ignoring the voice of the public? The City believes that it should be allowed to make laws that conflict with the City’s own development plan bylaws, which are intended to help maintain the character of our neighbourhoods? Regardless of any potential technical grounds for such an appeal, which of these arguments seems like a good idea? Which of these arguments sounds like a winning move, politically? Do you want the City to spend your taxpayer dollars on an appeal? Raise your voice and tell the City to respect the Supreme Court decision. 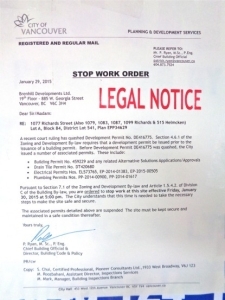 Stop Work Order – 1077/1099 Richards St.
Two days after the Jan 27, 2015 landmark B.C. Supreme Court ruling striking down the land swap deal in New Yaletown, the City of Vancouver finally got around to issuing a Stop Work Order. The judge’s ruling quashed the rezoning and the development permit for the site at 1077/1099 Richards St, requiring construction to halt immediately. Within an hour of the Jan 27 ruling, CANY members called City staff to issue a Stop Work Order. Multiple subsequent calls by several CANY members and others on the following days were required before the City took eventual action. The Stop Work Order was issued Jan 29, and allows work to continue until Friday, Jan 30, at 5pm to make the site safe and secure. Why was the City so slow to act? Why did developer Brenhill not take action to halt work immediately upon receiving the judge’s ruling, rather than wait until ordered by the City? Artist rendering of proposed tower at Emery Barnes Park. The rezoning was ruled illegal. In a landmark decision, BC Supreme Court ruled that Vancouver’s development approval process was unfair to the public. 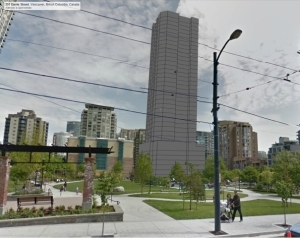 The judgment against the City quashes the bylaws and development permits relating to two massive downtown towers near Emery Barnes Park in New Yaletown, halting the development. Siding with the Community Association of New Yaletown (CANY), Justice Mark MacEwan also found that the City had violated the Vancouver Charter in approving the rezoning. Where can I learn more about the lawsuit and the ruling? What was the judge’s reasoning in CANY’s win? Read the judge’s Reasons for Judgment (pdf). What makes the Vancouver development approval process unfair? “The City has taken an unduly restrictive view of the discussion that should have been permitted to address the true nature and overall cost/benefit” of the project to the City and its residents. What would make a public hearing fair? The public hearing should be “as fair, open and transparent as the nature of the overall project dictates. To be fair, it cannot be conducted on the basis that the public will get just enough information to technically comply with the minimum requirements of a public hearing. The desire of those who have brought the project along to get past the approval stage cannot be allowed to truncate the process. How did the City violate the Vancouver Charter? “Whether or not the DODP applies to a particular property depends on whether or not the property is within a specified area, not its zoning. To interpret it otherwise would defeat the purpose of an official development plan and would also permit Council to unilaterally amend an ODP without adopting a bylaw as required by section 562″ of the Vancouver Charter. It is a violation of the Vancouver Charter to rezone a property in a way that conflicts with an ODP, without correcting that conflict by also amending the ODP bylaw. Yet this practice is common in Vancouver rezonings. Will the City now abide by its own Official Development plans? 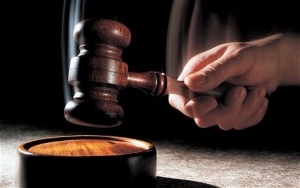 What impact will this ruling have on the two properties? The ruling essentially resets things back to the way they were before the first public hearing about the developments. The City still owns 508 Helmcken, the site of Jubilee House. Developer Brenhill still owns its property at 1077/1099 Richards, which is currently under construction. The development permits for both properties have been quashed, as have the bylaw changes associated with the development. Does this ruling mean a loss of needed social housing? No. While the City claimed in the public hearings that these developments would provide much-needed social housing, this was simply not true. No social housing was ever involved in any of these developments. No increase in “low cost” housing was planned either. All that was planned was a replacement of the 87 existing units at Jubilee House. Note that in their public statements now, the City and developer Brenhill no longer refer to these developments as providing social housing. That too was a sham. It is CANY’s hope that this ruling will change the way that the City involves residents in the development process. Not just for these two developments. Not just in New Yaletown. Full and lucid disclosure of all relevant information, an open discussion with an informed public, and council’s scrupulous consideration of public input before making its final decision are needed in all developments. All across the City. The Community Association of New Yaletown is proud to be a member of the Coalition of Vancouver Neighbourhoods and strongly supports its Principles and Goals for Community Engagement. Use your voice to help ensure that all future developments get the full and fair public scrutiny that’s now required by law.